Ancient Roman medicine derives from Ancient Greece. It was not highly regarded as in Ancient Greece, and one did not need any formal training to become a doctor. Medicine in Ancient Rome involved the use of herbs, spices, and magical spells. With the fall of the Roman Empire and the advent of Christianity, medical practices were considered redundant since it was believed that healing could be achieved by praying God. The early medicine of the Romans was almost exclusively based on magic. They worshipped a remarkable array of highly specialised medical deities. 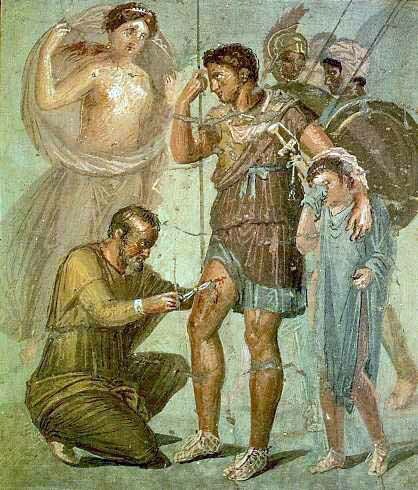 The Romans had no high regard for the medical profession and considered it beneath the dignity of a Roman citizen. The Greek physicians who tried to establish themselves in Rome were looked upon with suspicion and resentment. In particular, Cato the Elder warned his son against them. Nevertheless, such foreign infiltration continued, and Julius Caesar at last granted the Greek physicians Roman citizenship. The prejudice against them was eventually overcome and doctors became popular, rich, and famous. 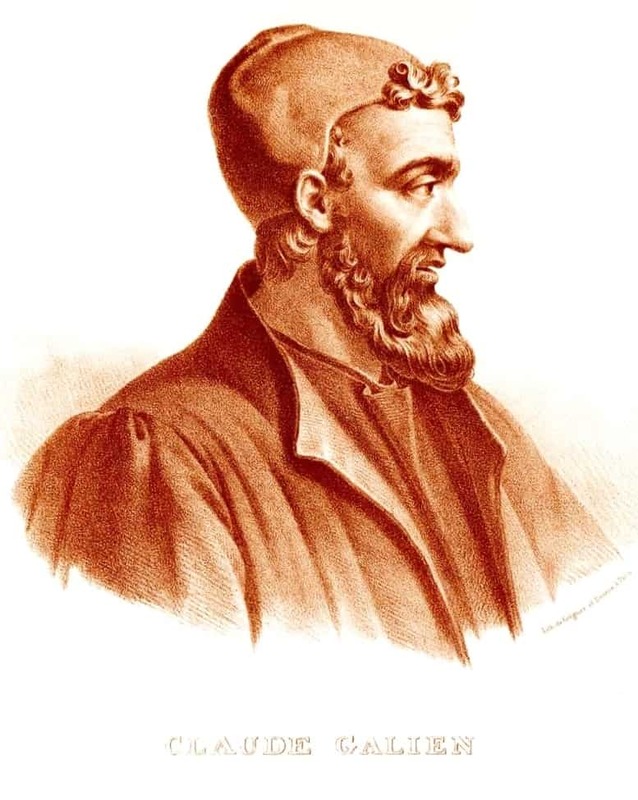 Soranus may be regarded as the founder of obstetrics and gynaecology. He also gave remarkably sound advice on childcare and made the first attempt at differential diagnosis. 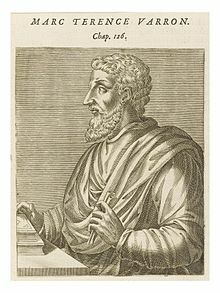 Aretaeus of Cappadocia, who lived in Alexandria around the II century of the Christian Era, was a follower of Hippocrates. He wrote excellent descriptions of diseases such as tetanus, epilepsy, hysteria, and asthma. He also gave a systematic description of diabetes. Aretaeus used inspection, palpation percussion and auscultation for diagnosis, and made the important distinctions between acute and chronic disease, as well as between infections and contagion. Though the Romans long regarded the practice of medics as unworthy, three Romans, the so-called encyclopedists, made a considerable contribution to the science of medicine. The earliest of them, Marcus Terentius Varro (116-27 B.C.) is known only through references by other writers. He was aware of the existence of microorganisms, describing them as small creatures invisible to the eye, which fill the air, are breathed in, and cause dangerous diseases in the human body. The source of his knowledge remains a mystery. The second great Roman encyclopedist, Aulus Cornelius Celsus, who lived in the I century of the Christian Era, prepared eight extant books entitled De re medicina, and many diseases, such as Celsus’ Chancre, Celsus’ vitiligo, Celsus’ papules, still bear his name. Celsus introduced the use of such terms as heart disease and insanity. His descriptions of inflammation, meningitis, and appendicitis are still of great value. The third Roman encyclopedist was Pliny the Elder. He possessed an insatiable curiosity and great diligence. However, he did not have any critical sense, and most of his stories and facts are fantastic and incredible. His work is important because it preserves many contemporary superstitions, medical practices, remedies, and names of physicians. Greco-Roman medicine reached its apogee with Galen. A native of Asia Minor, he practised his profession in Rome, and became the imperial physician, achieving great fame and authority. This authority, unfortunately, remained unchallenged for the next twelve centuries, and it stunted the growth and development of medicine. According to Pliny, the first Greek “doctor” arrived from the Peloponnesus to Rome in 219 BC. He was so used to “burning and cutting” the flesh of those who turned to him for healing that he was soon given the nickname “carnifex” (i.e. executioner, butcher) (Pliny NH XXIX). Pliny was not very well disposed towards these characters who boasted their ability to heal the sick with casual and brutal methods. The judgment of Pliny was shared by the traditionalist Cato the Elder who even suspected that there was a sort of Greek conspiracy: in fact, according to him, as a revenge for the Roman conquest, the Greeks had sent these butchers to Rome in order “to kill all the barbarians with their medicine”(Pliny NH XXIX). People like Cato valued the ancient tradition and distrusted the oriental medicine that had replaced traditional domestic medicine. Authentic Roman medicine was administered by the pater familias (the father of the house), who cured his family by employing wine, oil, and wool. According to Cato, one of the best remedies that could cure every kind of disease was cabbage, since it possessed exceptional therapeutic qualities. Moreover, he believed that even the urine of those who ate cabbage had therapeutic capabilities. When cabbage turned out to be ineffective, Cato claimed that magic could be used instead. Holding a green rod, one had to recite the following formula: motas uaeta daries dardaries, asiadarides una te pes. If one recited haut haut istasis tarsis ardannabon every day, she could be healed from any disease or sickness (Cat., Agr., 160). According to Cato, illnesses should be considered a test: in fact, a person demonstrated her strength if she managed to overcome her sickness through the remedies offered by nature. Despite the traditionalists’ distrust, Greek and other foreign doctors became so popular in Rome that both Caesar and Augustus granted them the right to Roman citizenship and forbade that they could ever be sent back to their countries of origin (Suetonius Iul., 1; Aug.,42, 3). There was no real training in the art of medicine in Rome. Anyone could claim to be a doctor, and one could open a clinic without any theoretical knowledge or practical experience. In the II century AD, Galen pointed out that many of his alleged colleagues did not even know how to read, and the doctor Thessalus, who lived during Nero’s government, claimed that his medical training lasted less than six months. The medical profession was profitable, and many completely inexperienced people (such as cobblers and weavers) became doctors overnight. In essence, these untrained people became doctors by directly learning and experiencing on their patients’ skin. Some of the most ignorant and lethal doctors were put on trial. When surgical operations were carried out, patients were more or less narcotised, and the surgeons’ assistants held them down when the doctor was getting ready to operate. Bloodletting was also used as a remedy for many diseases. The most well-known and valued physicians reached very high annual incomes: not only could they gain several thousand sesterces per year, but they could also be gifted assets that were worth millions. When rich people recovered from their illnesses, they would often reward the doctor with extra money. On the other hand, other doctors acted out of greed and went against their profession’s ethics. Doctors of this kind, prolonged, expensive treatments for a disease that had already been cured, or demanded large sums of money in exchange for cheap medicine. Patients that had included their doctor in their will were often killed by their physician. Doctors in ancient Rome usually did not have a precise specialisation. However, in the I century AD, some large cities welcomed a variety of medical specialists who specialised in fields such as surgery (chirurgus), ophthalmology (ocularius) and otorhinolaryngology (auricularius). A very active type of specialist was the ophthalmologist, which suggests a spread of eye-related diseases (as evidenced by the frequent archaeological finding in the western regions of the Empire). The medical literature of the time is rich in treatises dedicated to gynaecology. However, it is not certain whether gynaecologists were considered specialised doctors. Midwives were considered more important than gynaecologists, and doctors only helped under challenging cases. Since, as we have stated, doctors’ incomes were quite high, many charlatans claimed to have specialised in unusual practices, such as the removal of marks on slaves’ body. Dentistry was not a particularly widespread specialisation. However, the surgeons who practised it did not use any effective anaesthetics, and operations were very painful. Moreover, dentists were able to replace teeth with dental prostheses and fill cavities with metal or ivory. Like the Greeks and the Egyptians, the Romans used various religious rituals for healing, since they believed in the supernatural origin of many diseases. However, Rome also developed sanitary services intending to prevent diseases. For instance, they attempted to introduce more healthy environments with the construction of aqueducts that could supply water to the city. Moreover, Rome became a teacher of hygiene in the world: aqueducts, spas, parks, sewers, the hygienic surveillance of food, and health laws in defence of public health, were taught and renowned throughout the empire. With the fall of the Roman empire, Roman medicine also decayed, along with other branches of science and technology: the Middle Ages were characterised by great epidemics, plagues, and hundreds of thousands of victims. With the rise of Christianity, the cult of Aesculapius was replaced by the figure of Christ, considered as the doctor of the soul and of the body. The Gospel addressed the sick and healing occurred as divine intervention. Christian medicine fought against magic formulas and promoted prayers. With the advent of Christianity, scientific studies and research were considered useless. [1.] Bliquez, Lawrence (1981-04-01). Greek and Roman Medicine. Archaeology. pp. 10–17. [3.] Conrad, Lawrence 1 (2009). The Western medical tradition. : 800 BC to AD 1800. Cambridge: Cambridge Univ. Press. pp. 33–58. [4.] Dean-Jones, David E. (1993). Galen On the Constitution of the Art of Medicine: Introduction, Translation, and Commentary. University of Texas, Austin. Dissertation. [5.] Nutton, Vivian (2009). The Western medical tradition: 800 BC to AD 1800. Cambridge: Cambridge Univ. Press.